This post comes from Colorado native Tiffany Hansen, a guest blogger (snowboardmountaineer.com) and Boulder, CO resident who recently relocated back from Southern California to be closer to the mountains, the snow and the great Colorado outdoors. 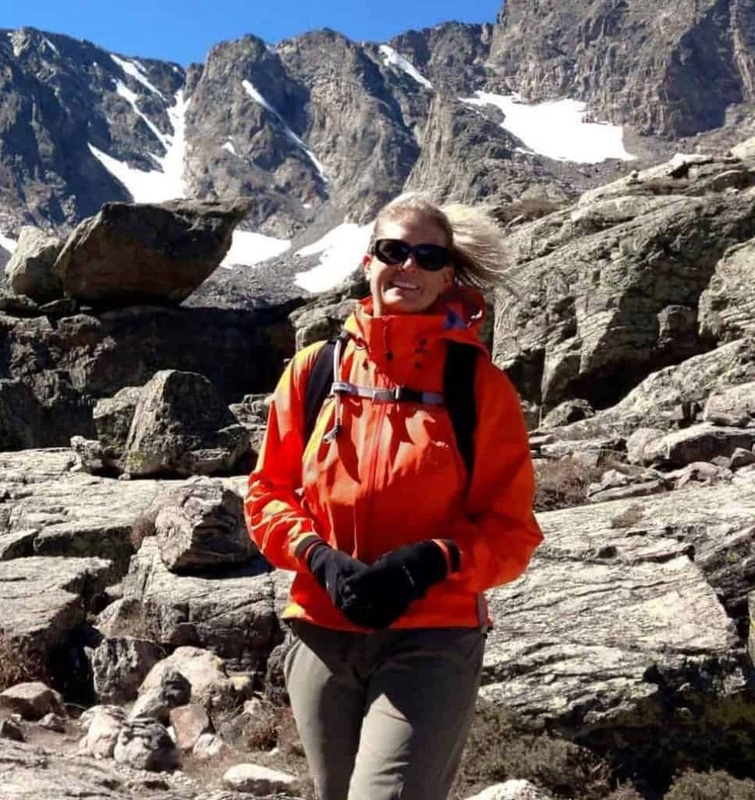 When Tiffany isn’t working on behalf of her clients, she is finding new adventures in the backcountry and fine-tuning her collection of backcountry gear. 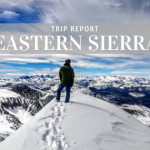 *Where: Since I purchased this pack in October 2014, if I am in the mountains and need to have my avalanche safety gear with me, or need to be able to boot-pack with my skis, my Dueter pack is with me. I can literally say that my pack and I are attached at the hip! 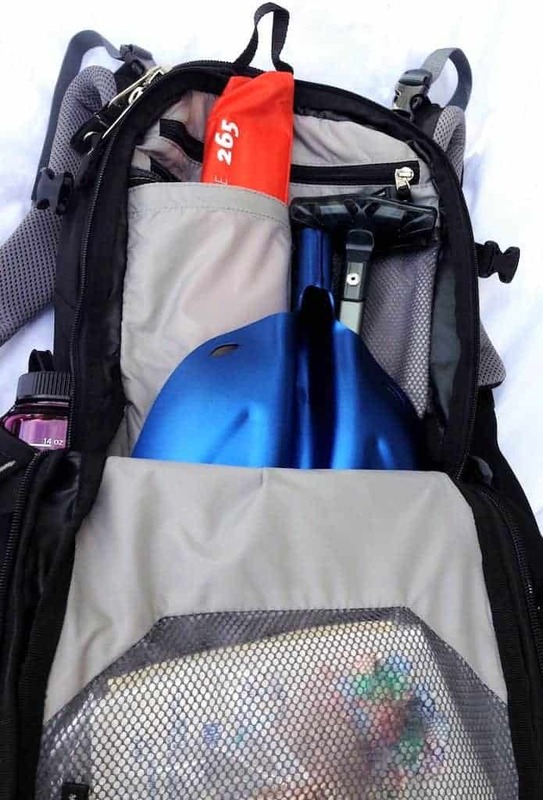 This pack has accompanied me on 25 plus trips to the backcountry and has seen every single drainage in Rocky Mountain National Park as well as multiple trails across the Indian Peaks Wilderness, Summit County and the San Juans…anywhere accessible snow or shine. 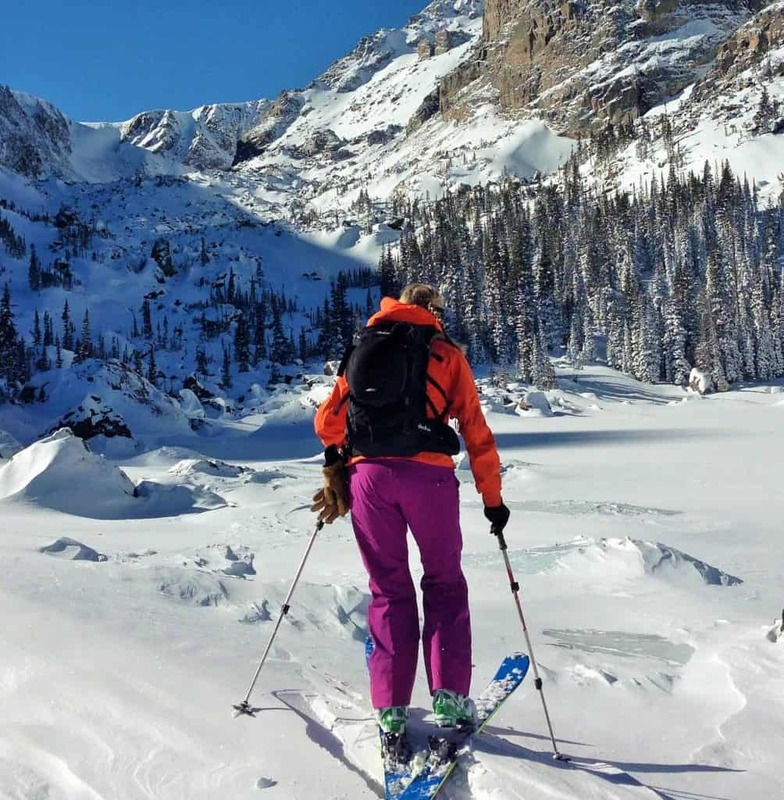 *Pros: Finding a women’s alpine pack for skiing and snowboarding in the backcountry has always been a challenge. Most packs are not built for a woman’s body. They are built by men and for men. Men with big shoulders, long torsos and definitely a different set of hips. 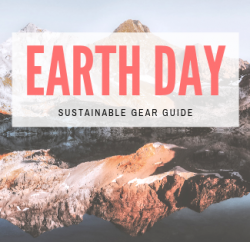 Nothing about a men’s pack, is conducive to the level of comfort I am looking for to support my backcountry activity, which includes hours of touring and descents. 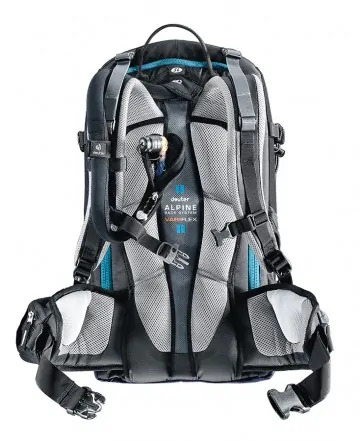 I have tried out multiple backcountry alpine packs; and while some come close to fitting comfortably, at least for a short period of time, I have found only one pack design that feels like it was made for my body, and for my level of activity…the Deuter line of packs. 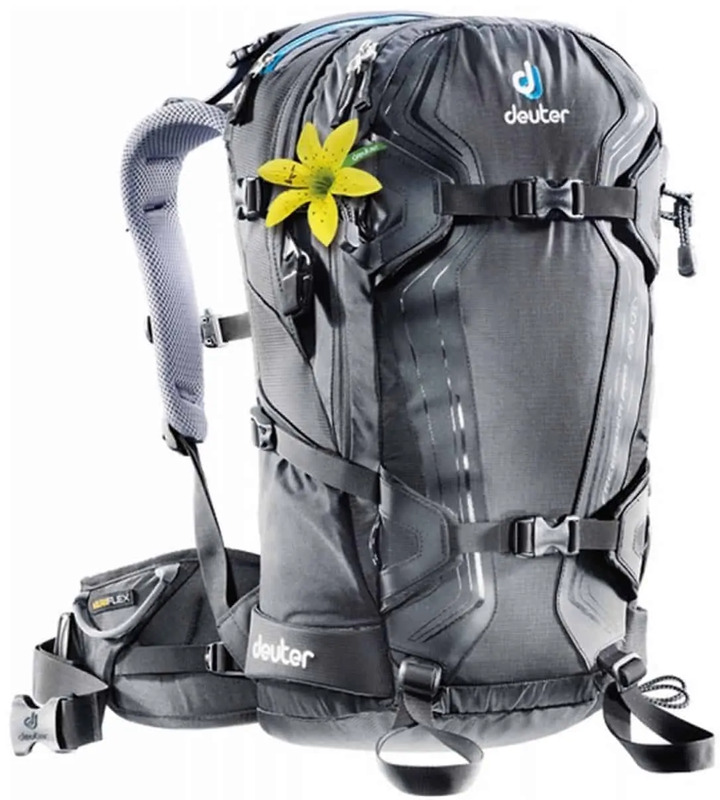 Deuter makes a line of packs specifically designed by female athletes, for women. The line is known as Slim Line or ‘SL’. For easy identification, the retail trademark of these packs is denoted with a yellow flower. 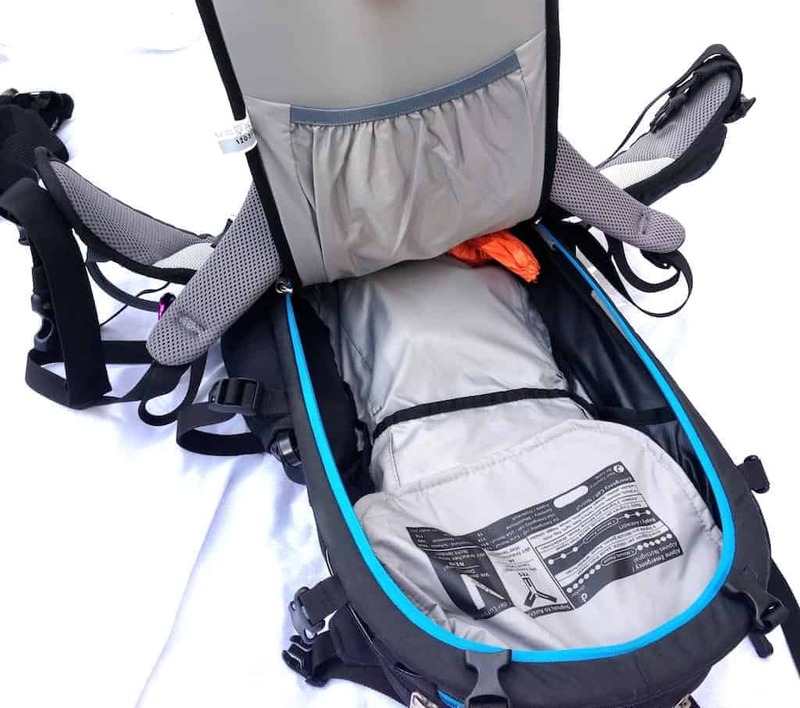 Besides a comfortable and perfect fit, I had a demanding list of functions which I wanted my pack to deliver. 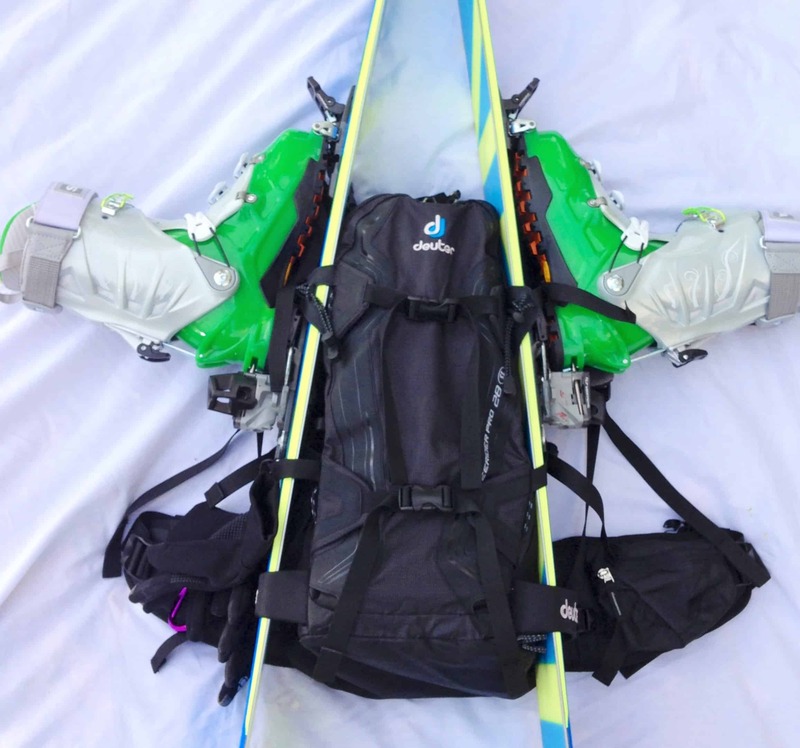 Ideally, I hoped for ALL of the following: to be able to carry my skis in both an A-frame and diagonal setup, designated ice axe loops, removable helmet carrier, dedicated avalanche compartment (without a hood over the compartment which hampers immediate access to my avalanche gear), hydration compatible compartment, and a good amount of storage, – I love interior and exterior compartments! After a long search, and thanks to the recommendation of a fellow backcountry fanatic, I finally found what I was looking for. Deuter’s Freerider Pro SL – Women’s 28L, delivered to my specifications and more. 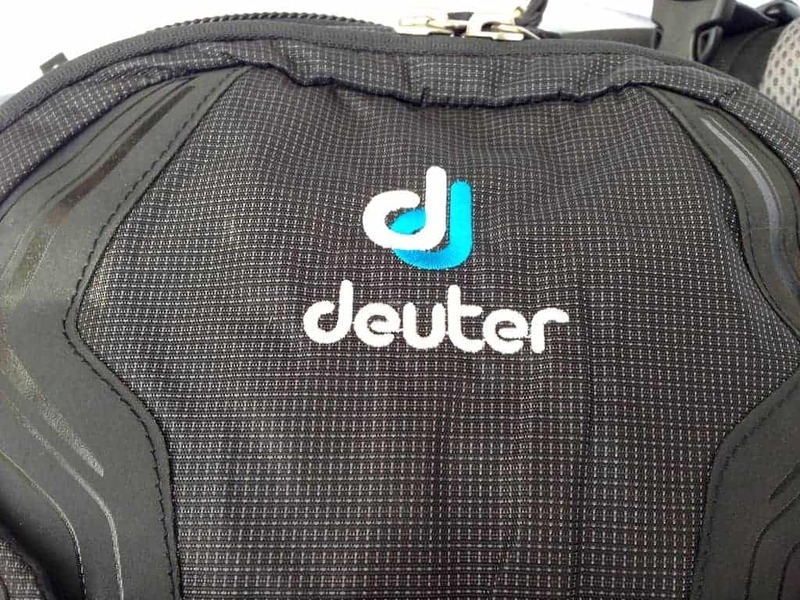 The Deuter packs have every conceivable setup and situation figured out in advance. It’s obvious that a lot of intelligent and empathetic thought went in to the pack design. The pack is not filled with extraneous bells and whistles. 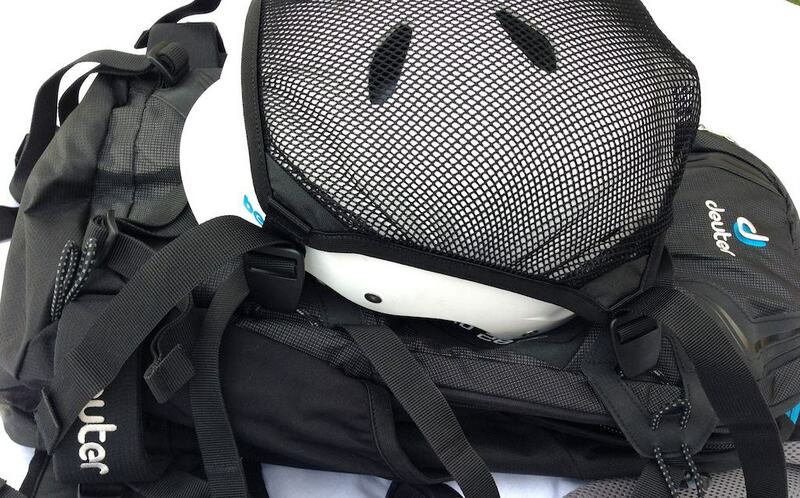 Rather, the pack is well thought out with superb functionality, a sublime anatomic fit and ergonomic ease. 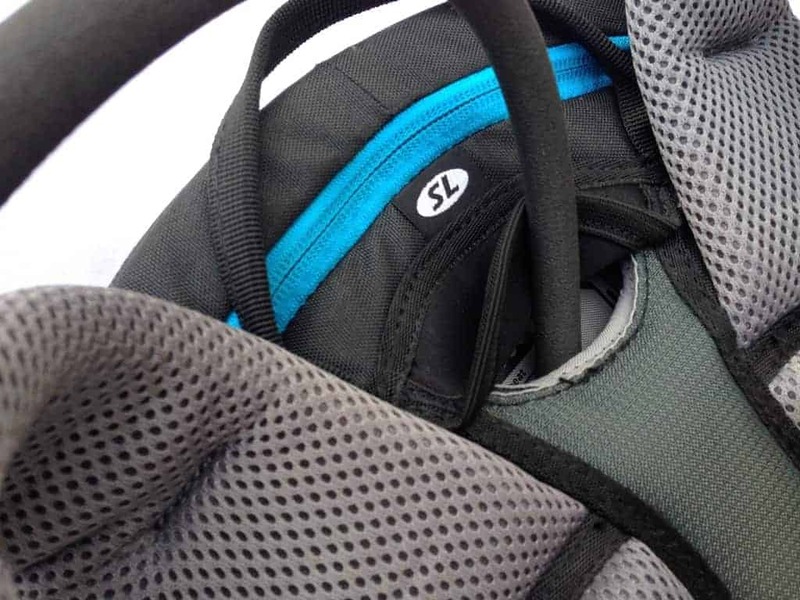 The Alpine Back System, which includes the Vari-Flex System; and exclusive to the women’s packs is the SL Women’s Fit System, is a dream come true for this girl. 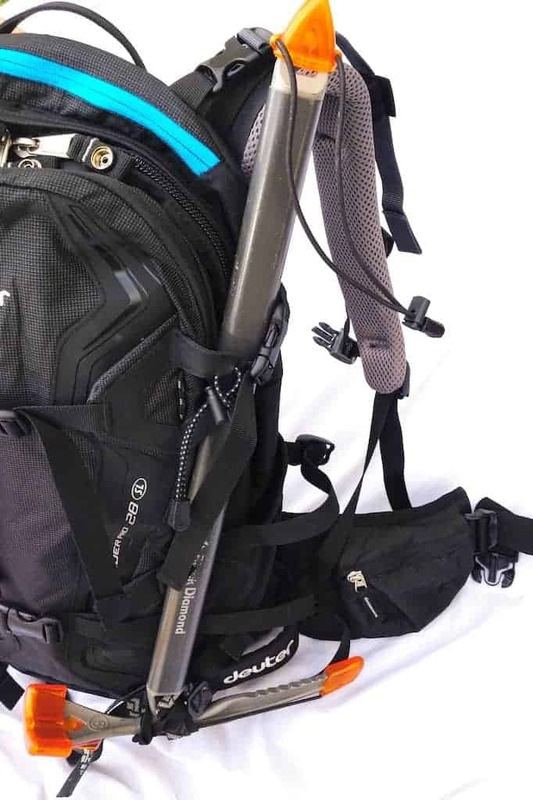 I am plagued with various hip and lower back issues, which, thanks to my new Deuter pack, are nowhere near as much of a bane when playing in the backcountry as they use to be. The foam padded hip belt allows for comfort and positioning never before found in other packs. 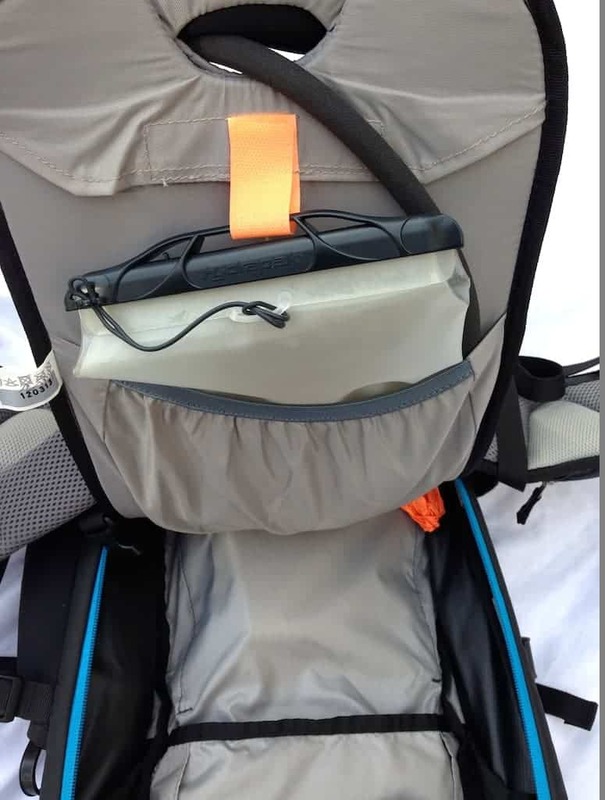 The shoulder straps are the perfect width and shape for a female body and with proper adjustment of the load-adjuster straps, I was able to easily refine my fit on-the-fly while maintaining my pace. 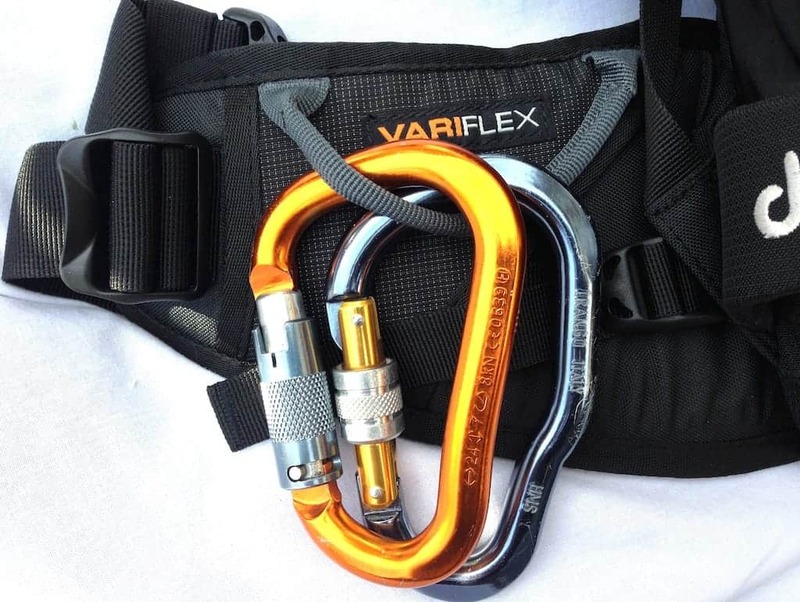 *Cons: Short of wishing that there might be a few more loops on the shoulder straps or hip belt, to which I could attach small carabiners and hang a few more supplies for the purpose of accessibility, I have yet to utter a single complaint about this backpack. It is the most functional and comfortable pack I have ever worn. 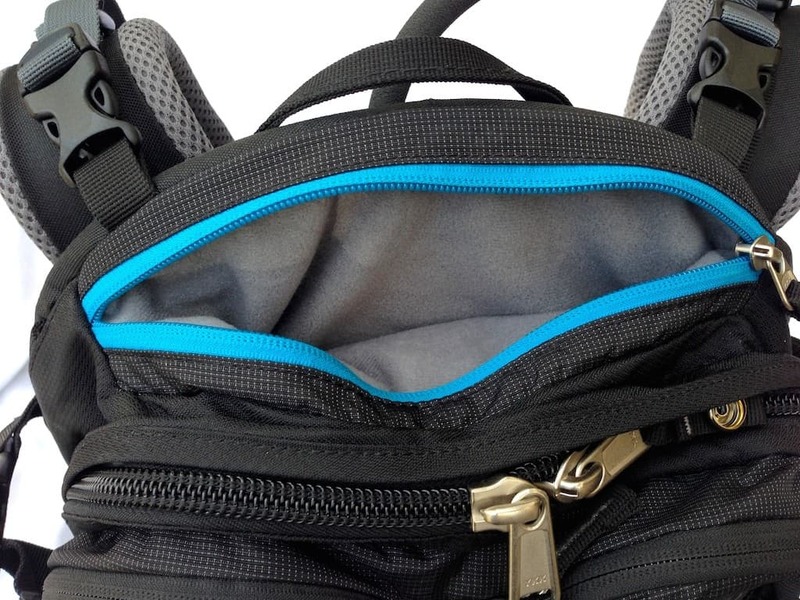 *Suggestions: If anything…I would like to see another zipped pocket on the other side of the gear belt. I don’t like having things stuffed in my jacket pocket and could use the extra storage on my belt where things wouldn’t feel as cumbersome as they do being shoved into my jacket pockets. 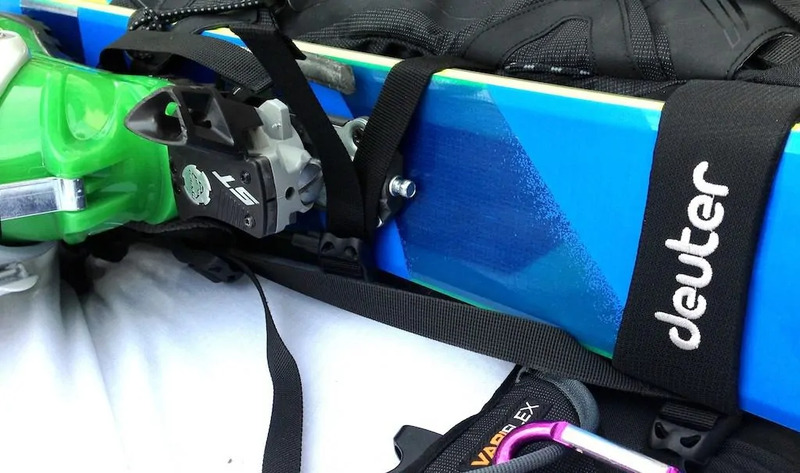 *Summary: I like that the pack doesn’t have ridiculous features that I won’t use. It is well worth the price! 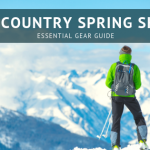 If you are a woman who is serious about your backcountry activity, and expect the same performance of your gear that you expect of yourself, I urge both riders and skiers to give the Deuter Freerider Pro SL a try. It is one of my best gear decisions ever! 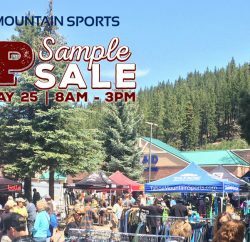 Previous PostThin Tahoe Winter Provides Us With Multi-Sport Paradise Next PostThanks Technical Equipment Cleaners (TEC)!